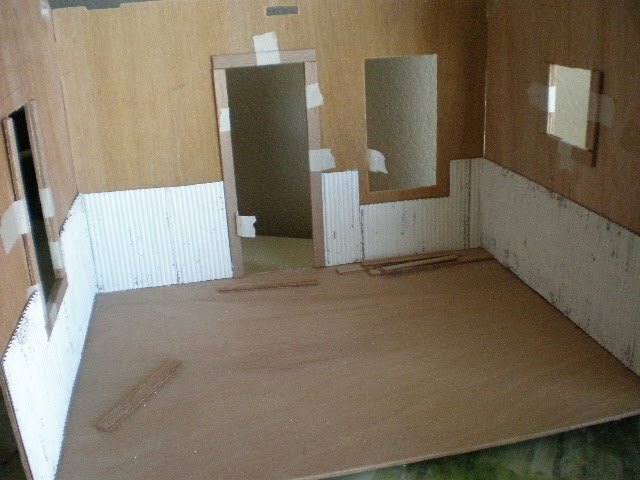 I've been doing the beach dollhouse interior. 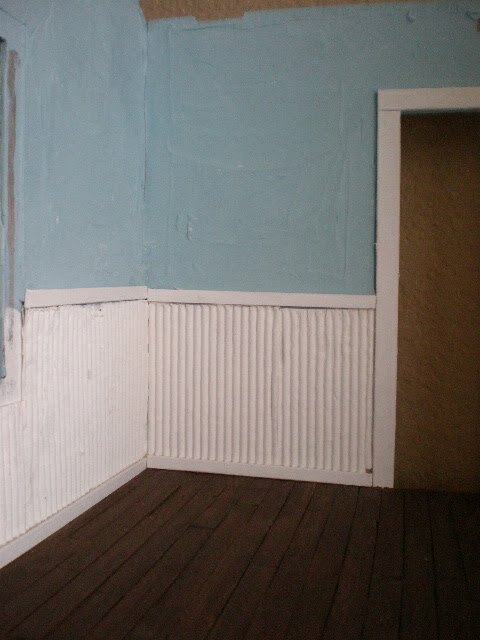 This is my wainscoting. 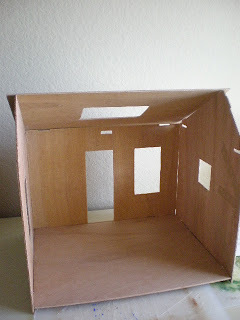 I made the paneling from cardboard that I pulled apart. I painted it white. 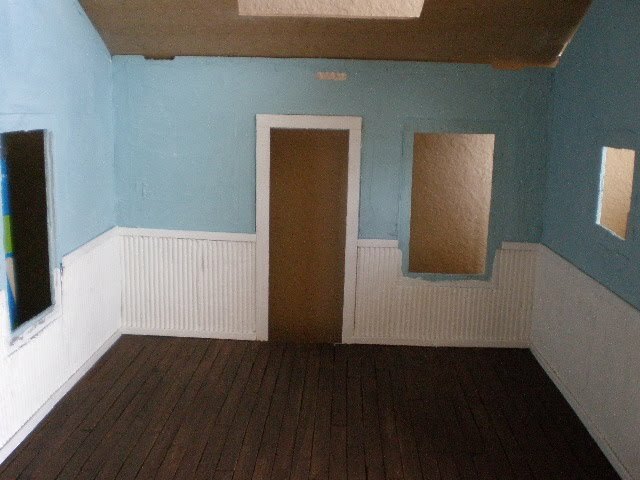 Next, I painted the walls blue. 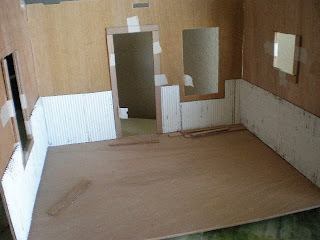 See the wood floor? I just lay it out and glue it in place. 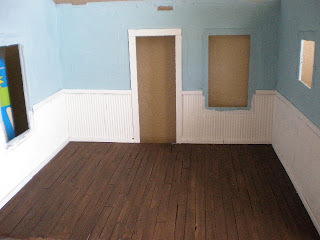 I painted the wood floor a nice dark shade for a tropical look. 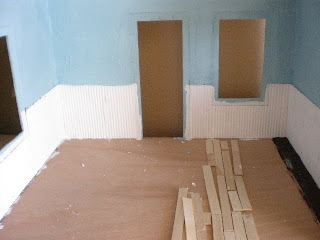 I put molding on top and bottom of the wainscoting. And I put on one more coat of white.